HBO Now is the premium cable service's olive branch to cable-cutters, an attempt to reach out to the IPTV crowd before competition from Netflix an the like starts to seriously impact their bottom line. So why they chose to limit HBO Now to Apple devices in the first place is a bit of a puzzle - surely you'd want to make a paid service available to as wide an audience as possible? In any case, it wasn't too long before HBO Now came to standard Android devices, but support for Android TV was still missing. Until today. Sort of. You see, the changelog for the HBO Now Android app proudly proclaims that it's compatible with Android TV. Except it's not available on the Nexus Player, and the NVIDIA SHIELD is left out in the cold too. No one at Android Police has a Razer Forge TV (and Razer never got back to us with a review unit - I'm still waiting on a reply to that email, fellas), but it seems like a safe bet that the compatibility is missing there, too. In fact, the only Android TV device that we've been able to confirm is working with HBO Now is a Sony ATV-powered smart television. Since there's no mention of specific models in the update notes, we're going to assume that this is some kind of listing or certification error on HBO's part - maybe they only have a Sony TV to test it on. Maybe they don't realize that there are other Android TV devices, and quite a few customers waiting for their paid content to get to their platform of choice. 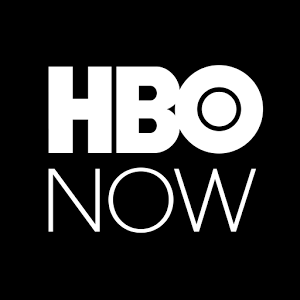 Hopefully this will be resolved soon - in the meantime you can use HBO Now on your phone, then stream it to an Android TV device using the built-in Chromecast support. According to Sascha Prüter (a senior Android program manager for Google) in the comments section, the app is intentionally missing compatibility for non-TV set top boxes. It's not out of any malice or exclusivity, but simply because the HBO developers aren't ready to roll it out yet. 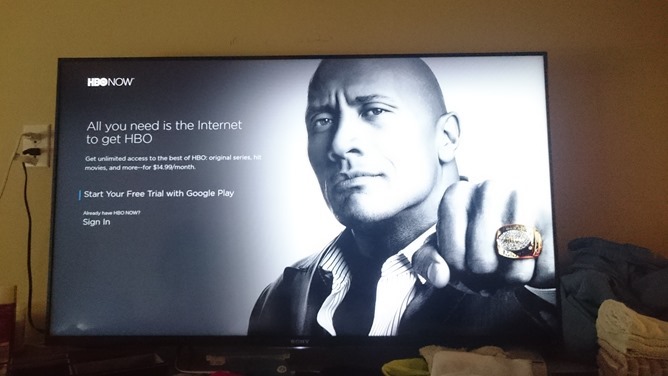 The app is also compatible with Sharp Android TV-powered televisions.